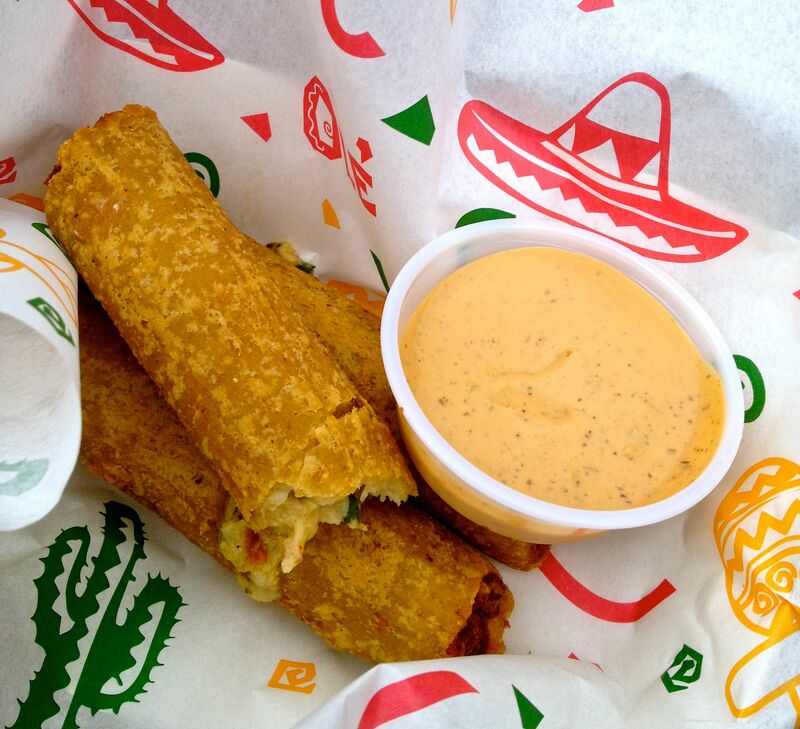 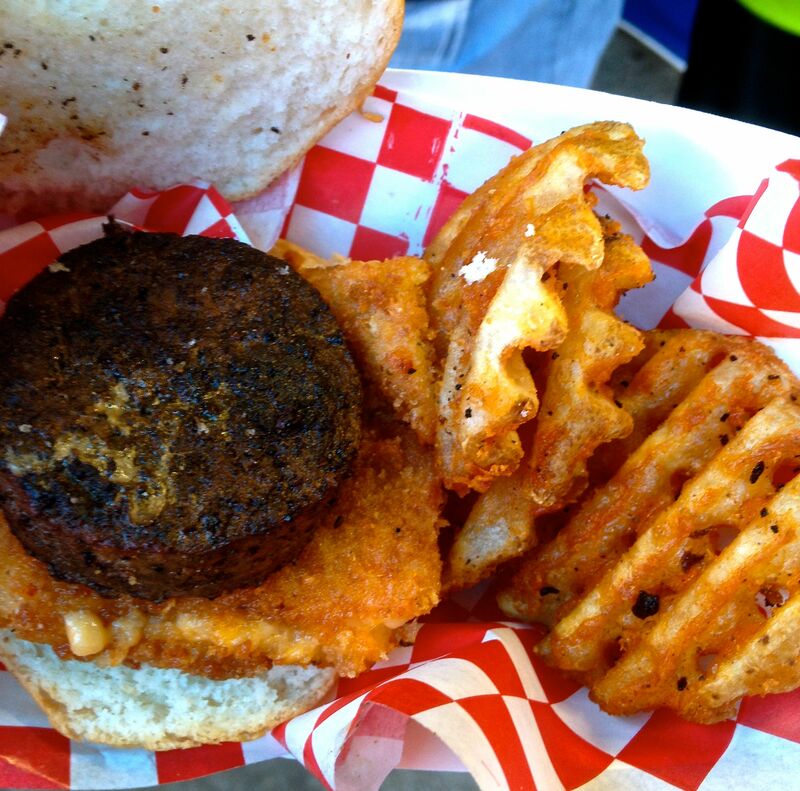 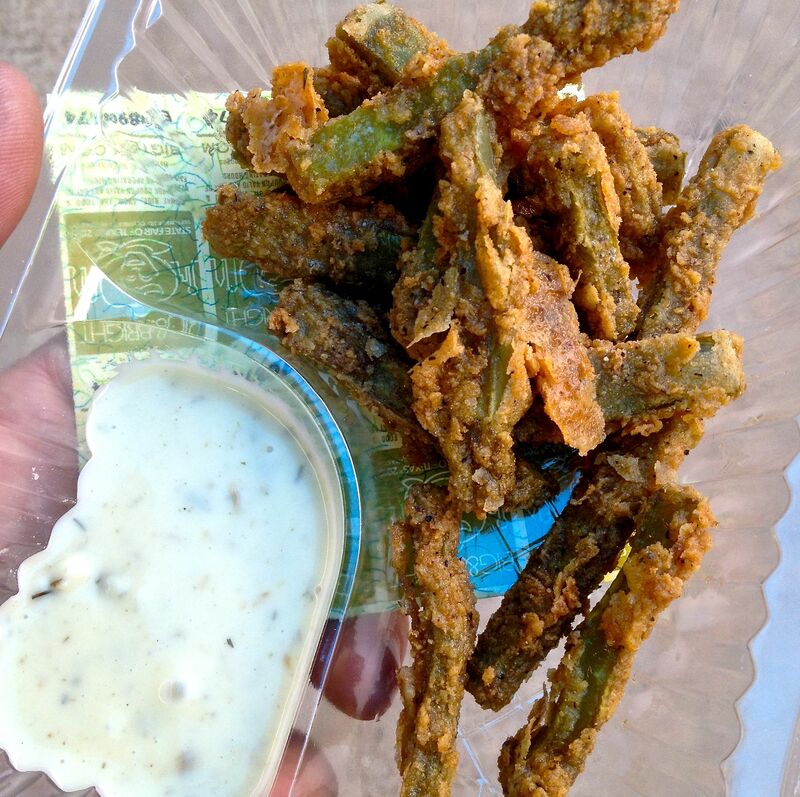 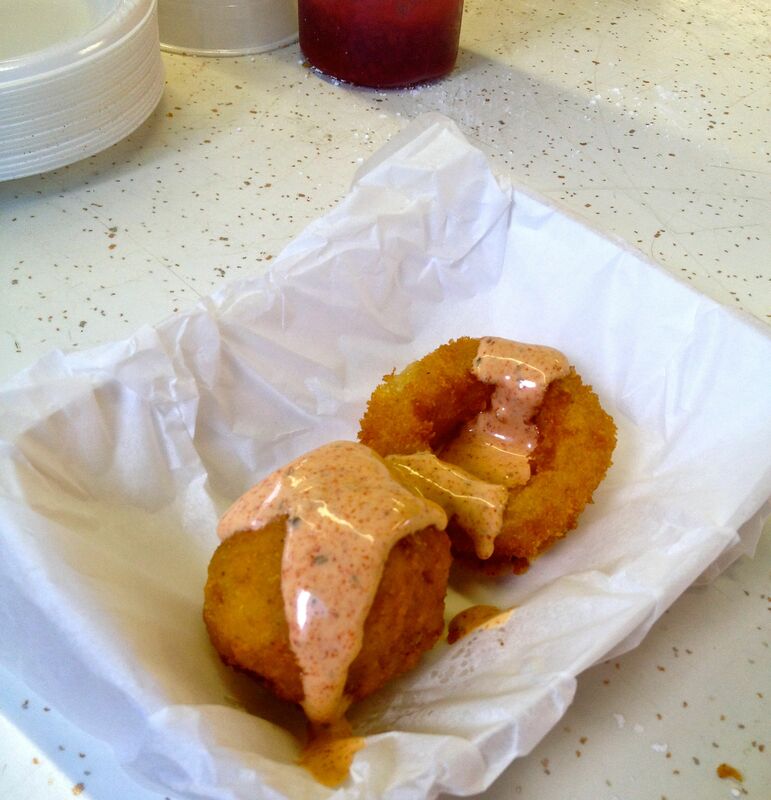 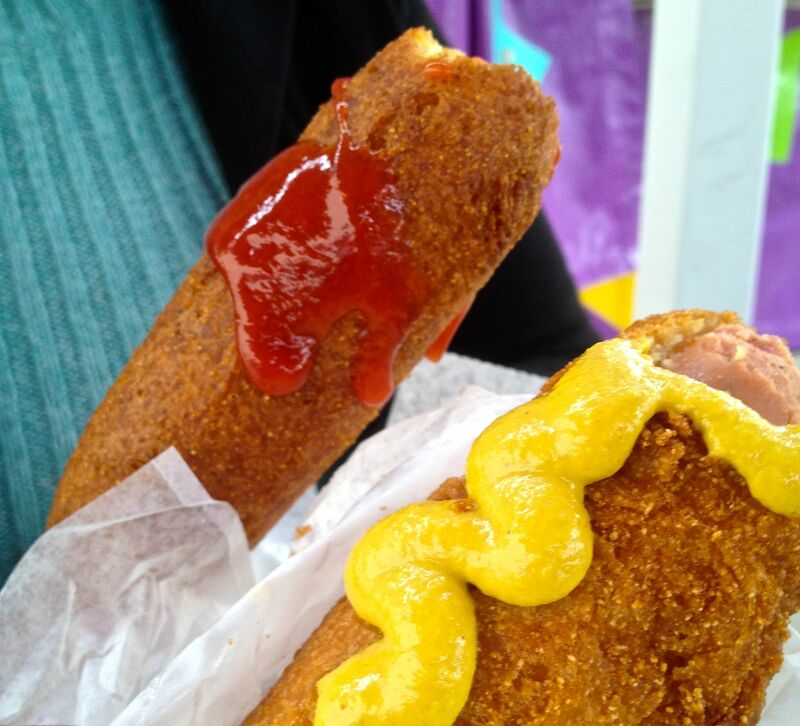 Food at the State Fair of Texas is all about the 70-year old business of making Fletcher Corny Dogs…. 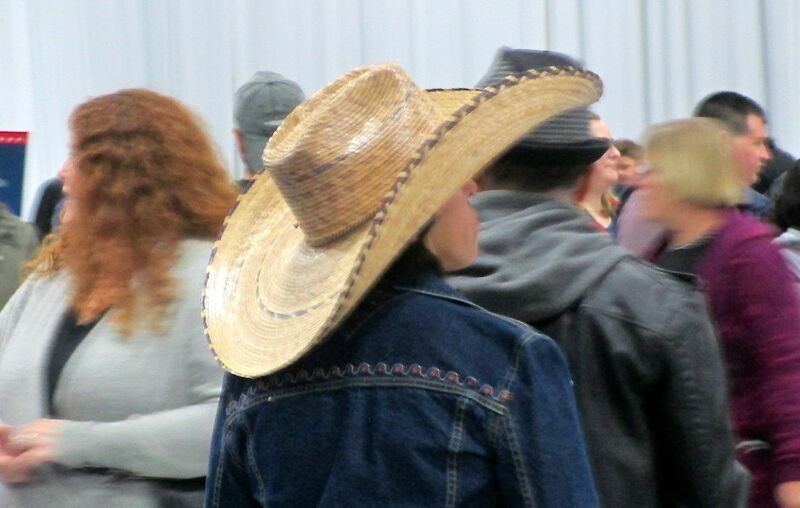 You know you’re in Texas, at the State Fair when the hood of the golf carts are decorated as one would expect…..
We grow our hats big down here…. 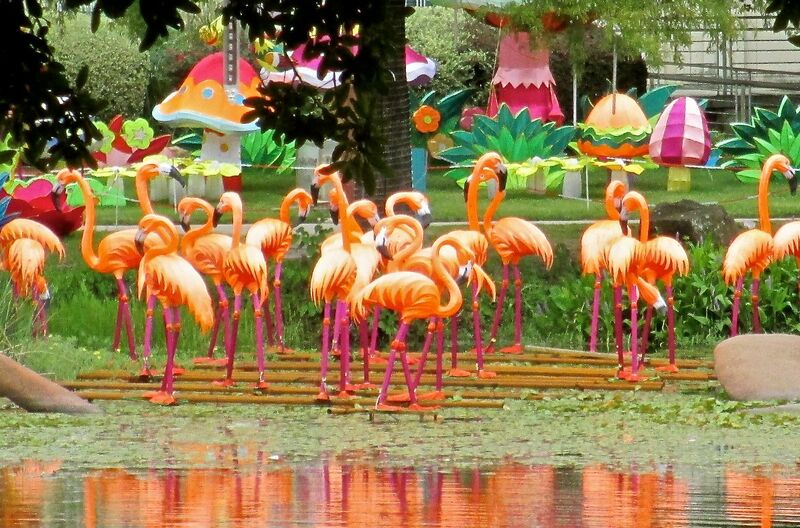 Orange flamingos at the Lagoon await their evening “Chinese Lantern” show…. 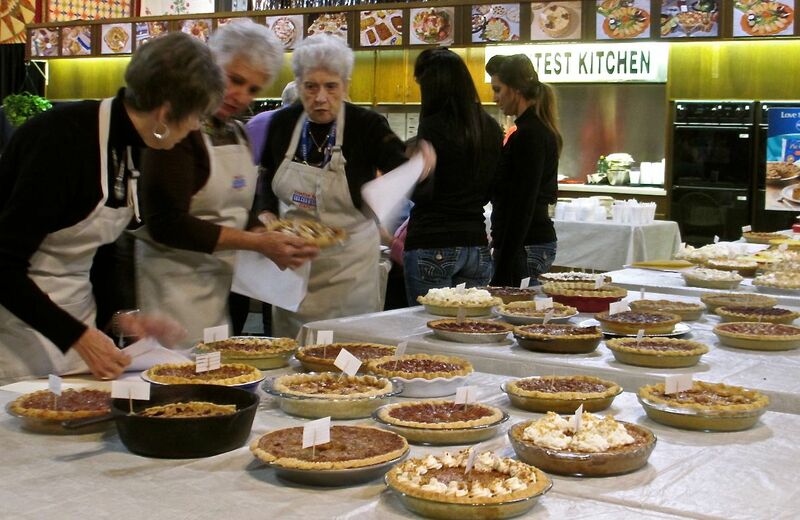 Happened upon the Pillsbury pie judging – I LIKE PIE! 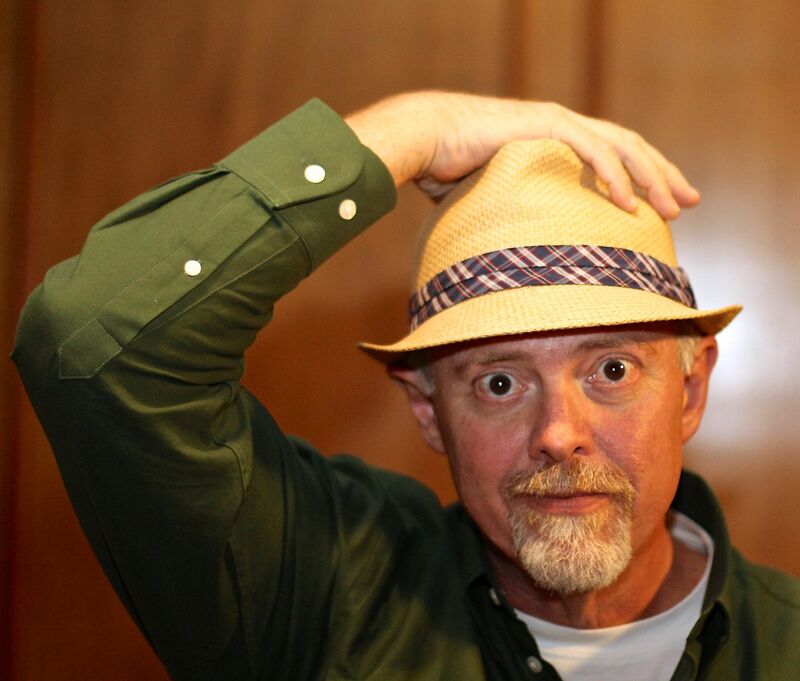 but I would be danged if these ladies wouldn’t give me a fork for a taste…. 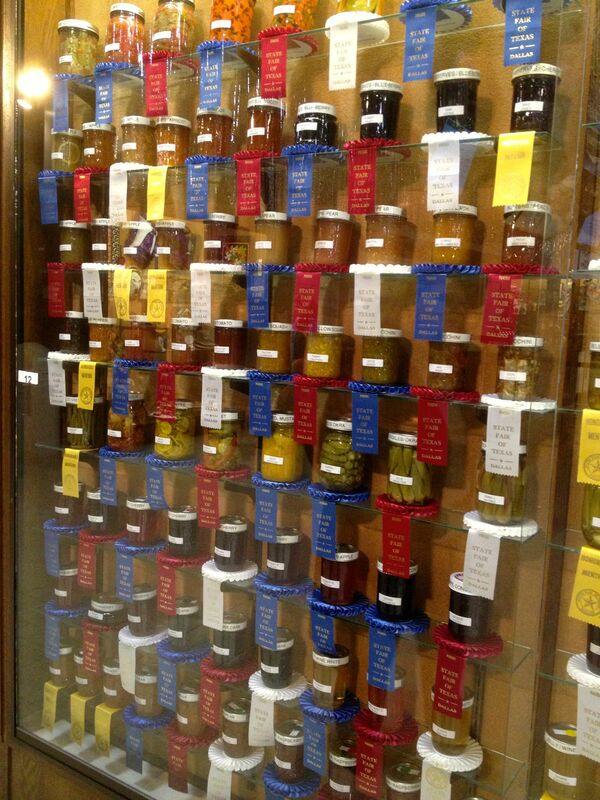 The wall of ribbon-winning jellies, jams, pickled whatevers, and the like…. 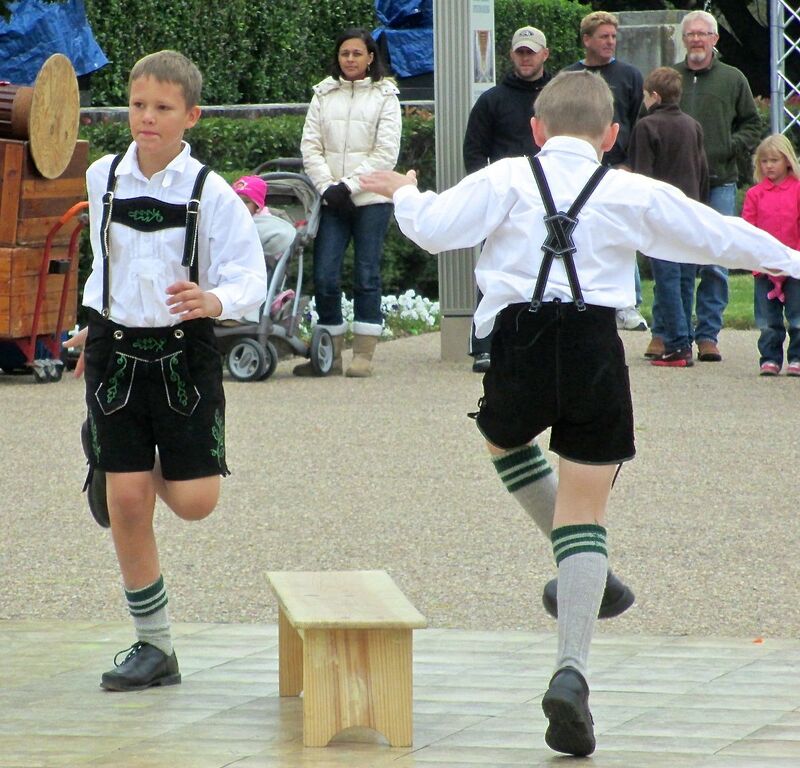 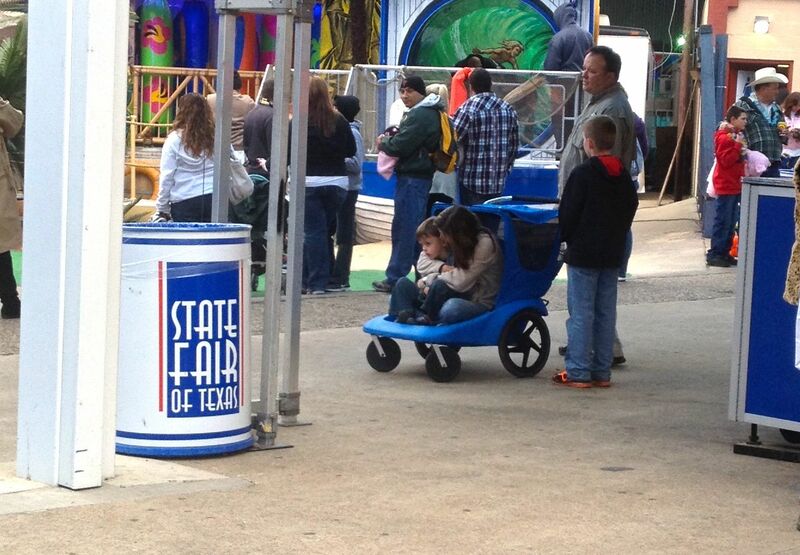 I wonder how Mom and Little Brother convinced Dad and Big Brother to push them around the State Fair…. 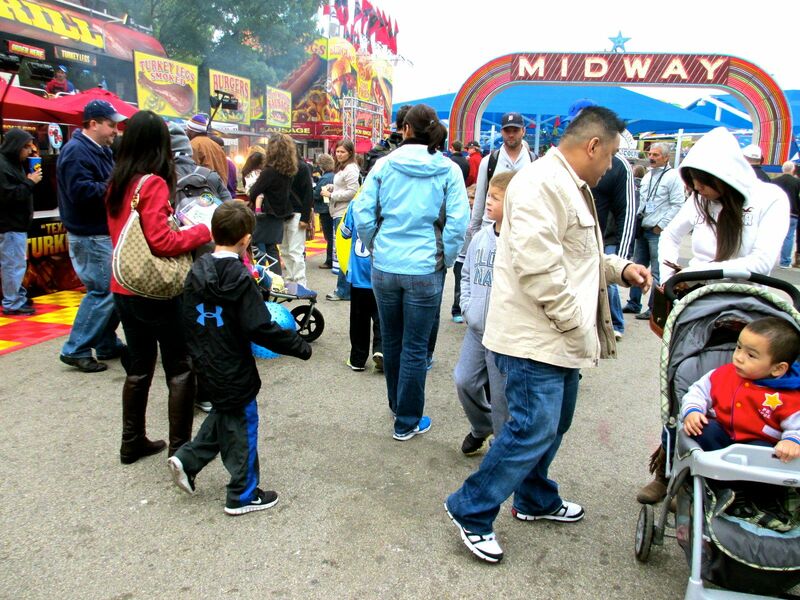 Barbecue Texas style is done off a flat bed semi-tractor trailer…at the front door of the Midway. 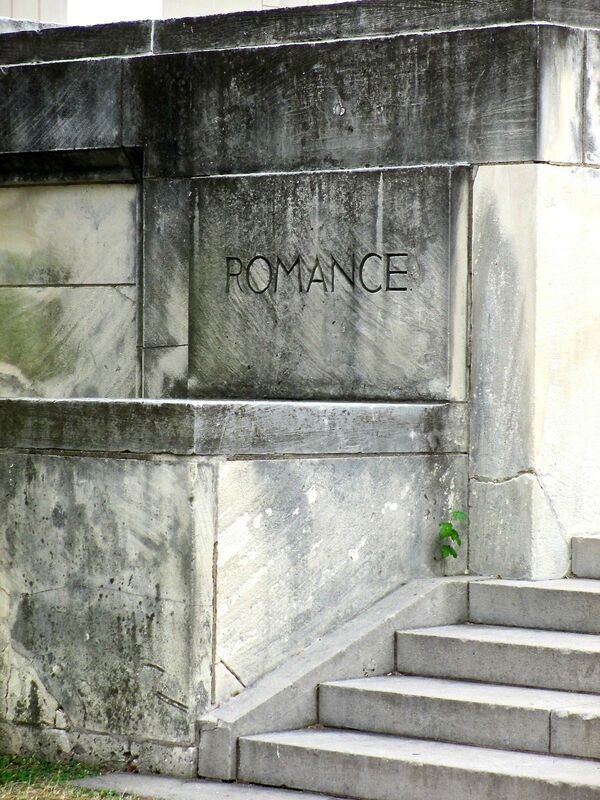 With the main Fairgrounds being 60-70 years old, you can find some pretty neat Art-Deco detailing in/on/around the buildings…. 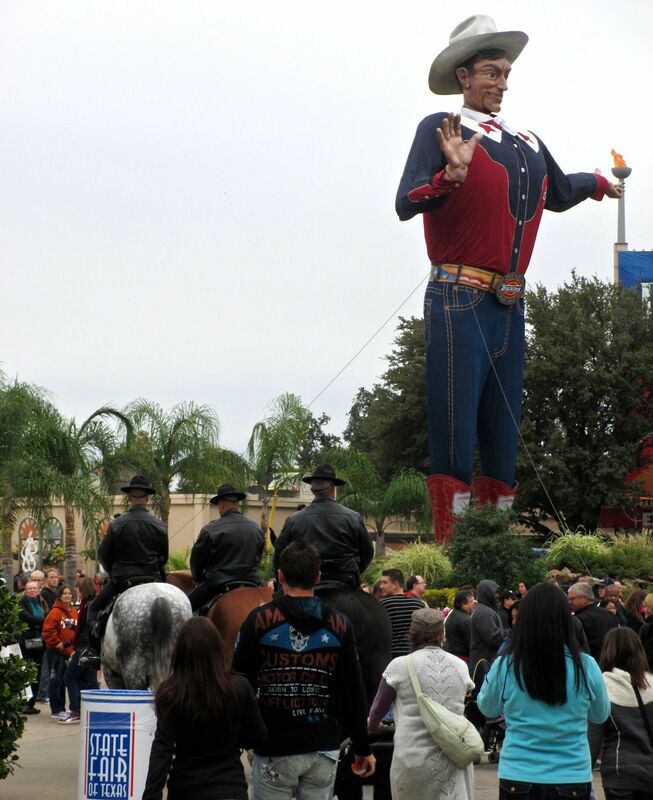 Big Tex saying “Howdy Folks” and mounted police plodding through the Fairgrounds! 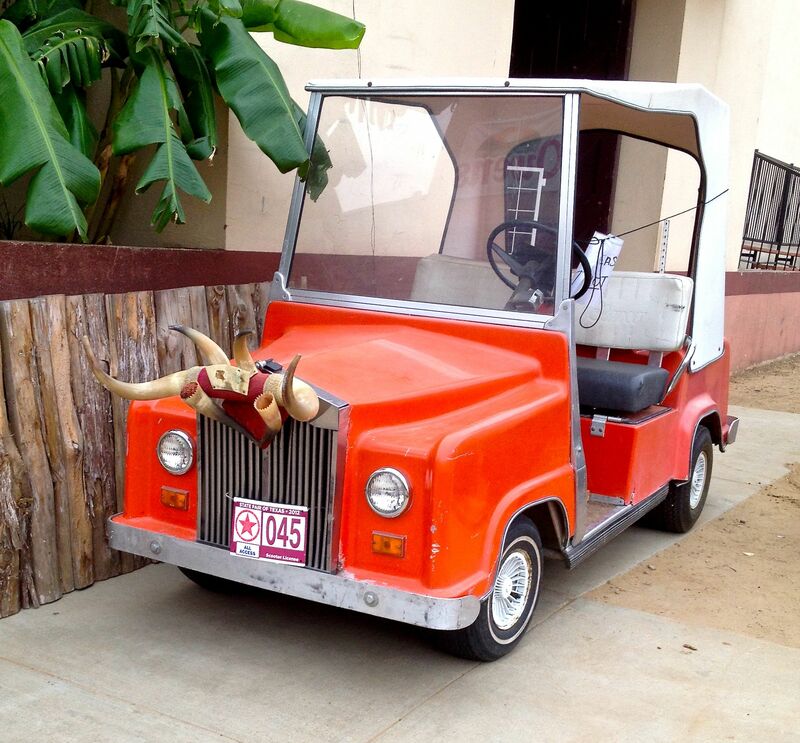 The golf cart? 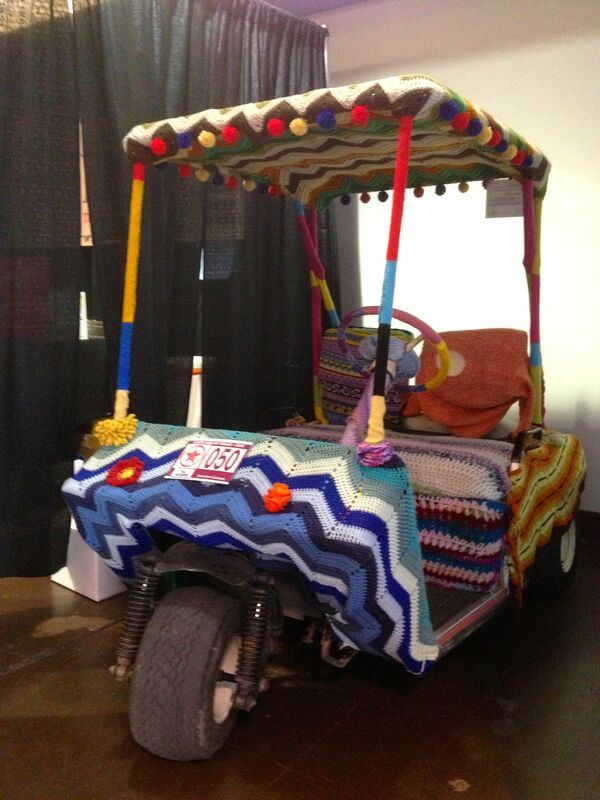 That’s Yarn Bombing at it’s finest! 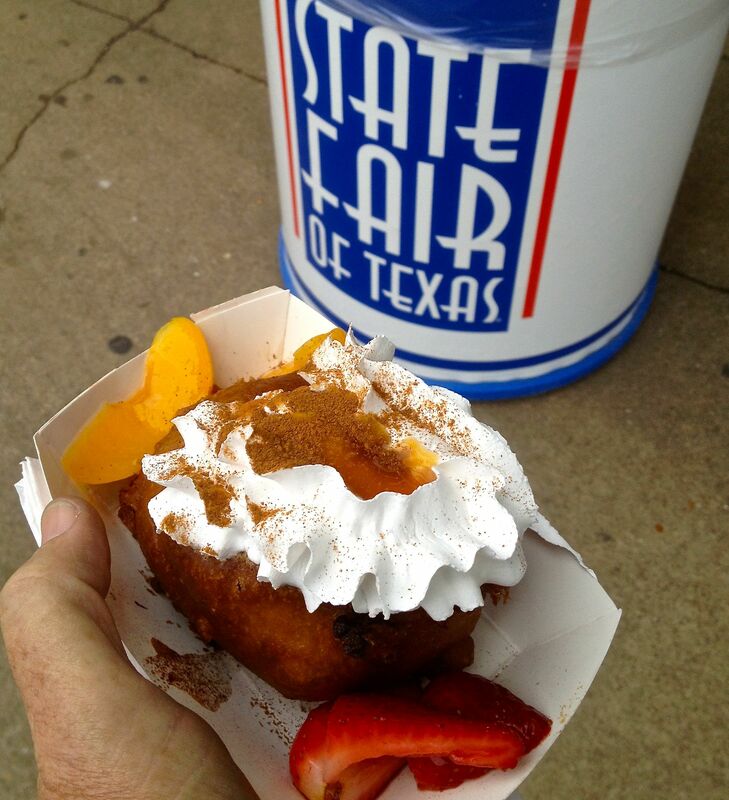 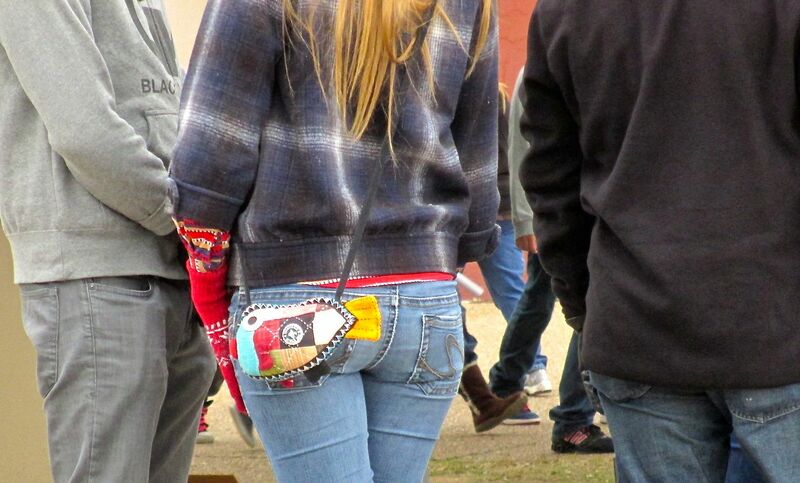 I love state fairs, and this one is wonderful in all its quirky glory!